Ready to get the ultimate shine? Experts agree that waxes with cleaners in them are compromise products, that the cleansing and waxing steps must be done separately, so that’s what we’ve done. 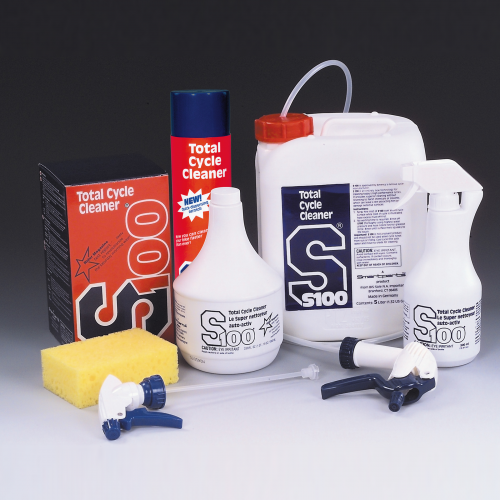 Use our two step S100 Cleanser and S100 Paste Wax system, we can virtually guarantee you can put your bike in a show! 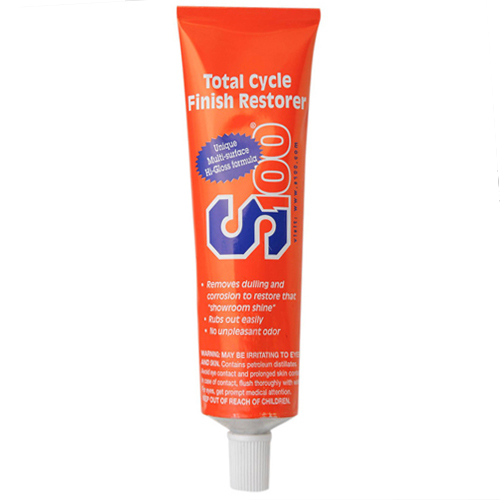 Get your bike clean and dry, then begin with our S100 Shine-enhancing Cleanser. Professional painters and detailers agree that proper surface preparation is fundamental to getting the ultimate shine. 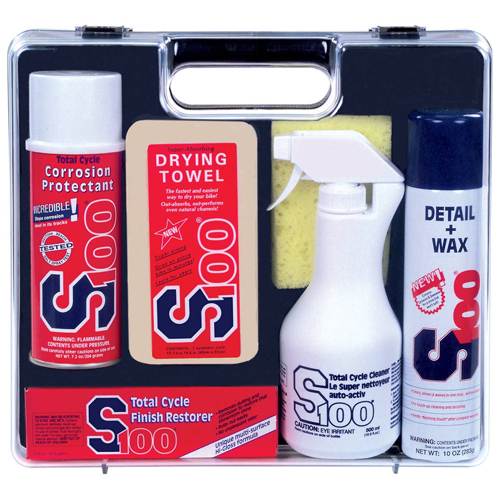 The S100 Cleanser gently removes water spots, small swirl marks and embedded road film to set up the surface for the ultimate shine, all without scratching even sensitive clear coats!